Refugees Helping Refugees provides vocational training for refugee students. Students participating in Cooking Matters, a six-week program in nutrition and food preparation run in cooperation with Foodlink. 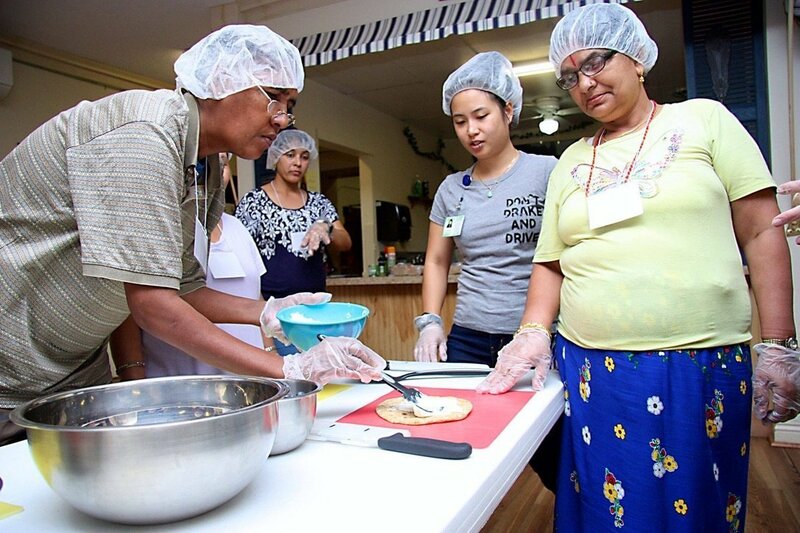 Following our mission of creating self-sufficient refugee individuals, these training opportunities are a constructive requirement for earning government benefits. The trainings will ultimately prepare refugees to enter the workforce, with many even opening their own businesses.